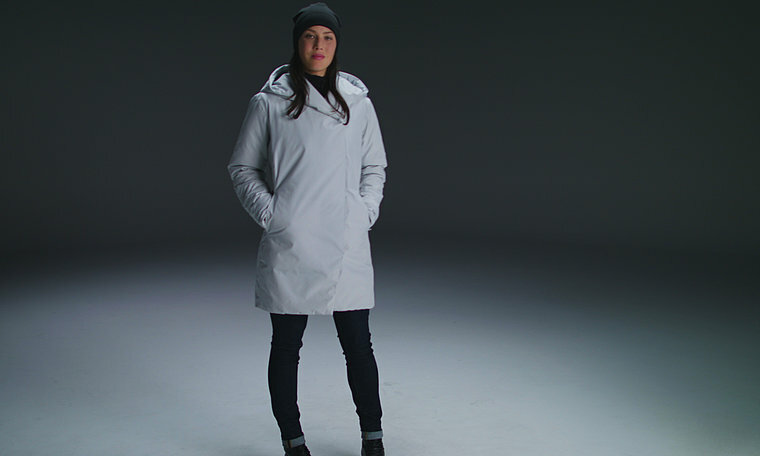 A lightly insulated GORE THERMIUM™ cocoon coat for weather protection in urban environments. Designed to move freely through urban environments, the Osanna pairs the windproof, water resistant, breathable performance of GORE THERMIUM™ with Coreloft™ synthetic insulation for lightweight warmth. This cocoon coat closes with snaps to keep the drafts out. An insulated adjustable hood adds warmth and protection.